Online family tree researching has turned up some fascinating stories. Thomas Wilson is certainly not a close relative, Ancestry calculates he is my first cousin, three times removed. His is an interesting story including a fair bit of tragedy that makes it worth telling. 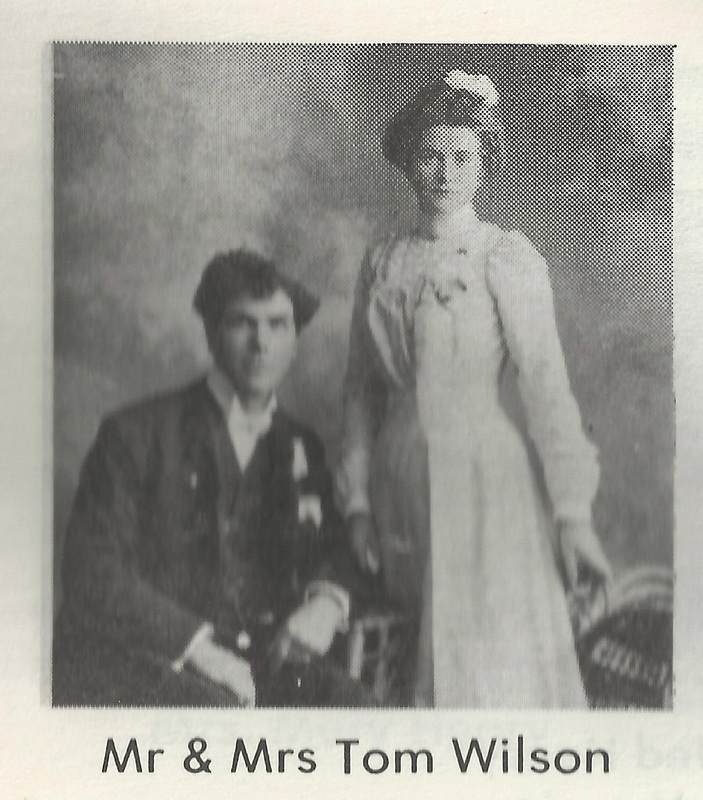 Thomas Wilson was born in Perth County, Ontario in 1876, the son of Ellen (Helen) Tait and Robert Wilson. He had an elder brother, Robert. The family of four moved to farm at Hope, South Dakota for a time and in 1898 they relocated to Blanshard Municipality in Manitoba near his mother's sister Mary Tait Henry. Their farm was about 2 miles south of Whitebank Lea School. In 1903, Thomas married Elizabeth Hayes in Brandon, Manitoba. In the 1901 census, Elizabeth could be found nearby working as a domestic servant in the Glinz household in Oak River. The Glinz family were the storekeepers in Oak River. In the 1906 census, Thomas and his wife Lizzie along with their 2 young children, John Gordon and Hazel were living with his widowed mother Ellen. In the 1916 census, she was called Helen and is 76 years old and was still living with Thomas and Elizabeth and now their 6 children. Thomas and Elizabeth eventually had nine children. Thomas is remembered in a local history book as a very athletic man whose nickname was “Blackie” or “Tommy”. He was a member of the C.O.F.- Canadian Order of Foresters. Tragically, 3 of their children died in 1919 during the same week in an influenza epidemic. There are lots of online accounts of what must have been a terrifying time in rural Manitoba as well as in the cities with the Spanish flu of 1918-19. The next year, Elizabeth lost her husband in a terrible accident. The following article from the Oak River Post details what happened. 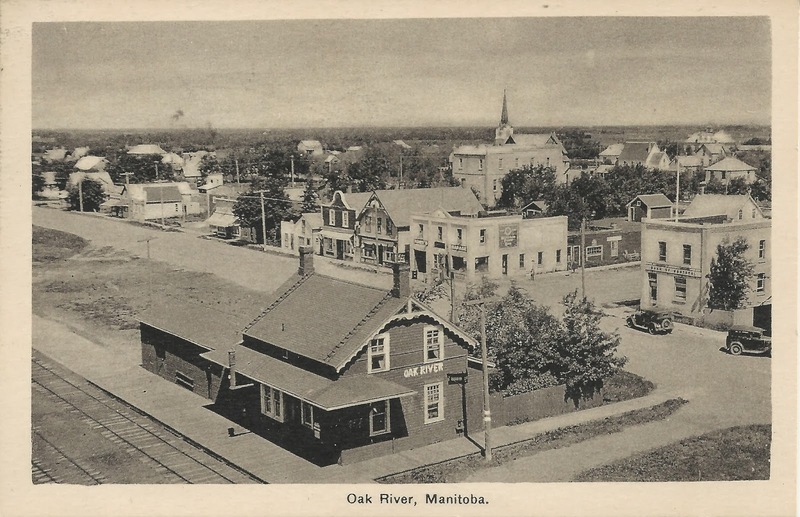 Clear Day From the Oak River Post, Oak River, MB 12/1/1920 SUDDEN DEATH OF T. WILSON The community was shocked on Thursday last to learn of the sudden death at Elphinstone the night before of Thomas WILSON, one of this district's old-timers. The late Mr. WILSON died in his bed in the basement of his garage from gas poisoning, caused by a leaky exhaust pipe leading from a gasoline engine in the basement close to where he was sleeping. Some repairs had just been made in the basement, including a new foundation and alterations in the exhaust system, and no ventilation had been provided. Mr. WILSON had not slept in the room since the alterations were made until the fatal night, as he had been visiting his family here. The fact that Mr. WILSON had expired was not known until the following morning when C. R. FOWLER, who is employed in the garage, entered the room. Medical opinion is that death took place about 10 p.m. on Wednesday, November 24th. The late Mr. WILSON was born at Cromarty, Ont. When five years old he went to the United States with his parents. He returned to Canada twenty-two years ago, and took up farming in the Oak River district. He married Miss Elizabeth HAYS seventeen years ago. He retired from farming three years ago and bought a garage business at Elphinstone. When younger, he was one of the foremost athletes of the community, and was still an enthusiastic curler and ball player. He leaves to mourn him besides his sorrowing wife, one son and five daughters, all at home, a brother, Robert at Gilbert Plains, and his mother at Brandon. His father died several years ago, and two daughters and a son succumbed to influenza during the epidemic of February, 1919. The funeral was held on Saturday to White Bank Lea cemetery, following a service at his late residence in Oak River at 2 p.m. Rev. MC CARTNEY of Bradwardine officiated. The pall-bearers were Messrs. J. G. BARR, E. H. GLINZ, W. MC KENZIE, JR., J. GREENAWAY, C. G. SPARLING and Thomas BROWN, all members of the C.O.F., of which order deceased was a member. A large concourse of people, including several from Rivers, Bradwardine and other outside points, were in attendance. The community extends sympathy to the bereaved in their grief. Elizabeth remarried William Green in 1926 and moved to Shoal Lake, MB. From there they moved to Neepawa where William died suddenly in 1936. Elizabeth then moved to Dauphin where she died in 1944. Tom and Elizabeth are my grandparents. David E. (Ted) Ross. Glad you found the blog, Ted! Since I wrote this post, I've often thought of Elizabeth's tragic losses. She must have been a strong woman.